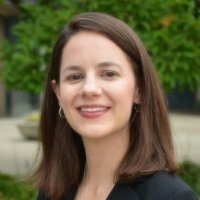 Heidi Krahling is the Grant Proposal Specialist housed in the Center on Health, Aging, and Disability. She assists AHS faculty, graduate students, and staff in the grant application process. Wendy Bartlo, PhD, is the Proposal Development and Outreach Specialist for the Center on Health, Aging, and Disability. Wendy serves the needs of AHS faculty with regard to the planning and development of grant proposal submissions and acts as liaison between PIs, research teams, and funding agencies. As a specialist in qualitative methods, she is also available to provide research support to faculty and graduate students interested in utilizing qualitative and mixed-method research designs. Additionally Wendy works to support CHAD community outreach efforts with the goal of maximizing research collaborations and opportunities for AHS faculty and students.